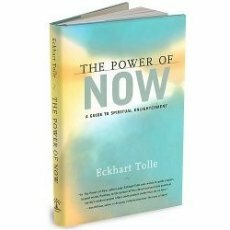 Review for The Power of Now: A Guide to Spiritual Enlightenment, An Absolute Must Read for EVERYBODY. "An Absolute Must Read for EVERYBODY." Finished this one a few days ago. Will help you find inner joy - as opposed to the mind created pleasure and pain. An absolute must read for EVERYBODY. One point, tho: Some of the concepts I understood because I had watched the tolle videos on YouTube. I'd say watch the videos first because I know for a fact that some revelatory points Tolle makes would not have sunk in so deeply had I not watched the videos first.